After an entire week, Zhila Shahriari, an Iranian Baha’i, continues to be held in detention in Ward 209 of Evin Prison. According to Tarnegar-Human Rights of Iran, at 3:00 PM on the afternoon of August 12 2016, security agents arrested Mrs. Zhila Shahriari and transferred her to Evin prison. This Iranian Baha’i continues to be in detention and under interrogation after spending an entire week in Ward 209 of Evin Prison. When they arrested Zhila Shahriari, Security agents also confiscated her personal belongings. 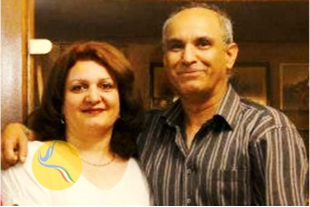 She is the sister-in-law (brother’s wife) of Mrs. Mahvash Sabet (Shahriari), one of the leaders of the Iranian Baha’i Community, who is currently serving time in Evin prison. As of the time of this article, the reasons for the detention of this Iranian Baha’i are not known.